Plus the critical area for a modern Toyota Dealership Customer Satisfaction the results of which are measured by an independent body and reported through the Toyota system. The Toyota Presidents Award for Excellence is the ultimate motor industry challenge which encompasses a holistic business excellence approach. 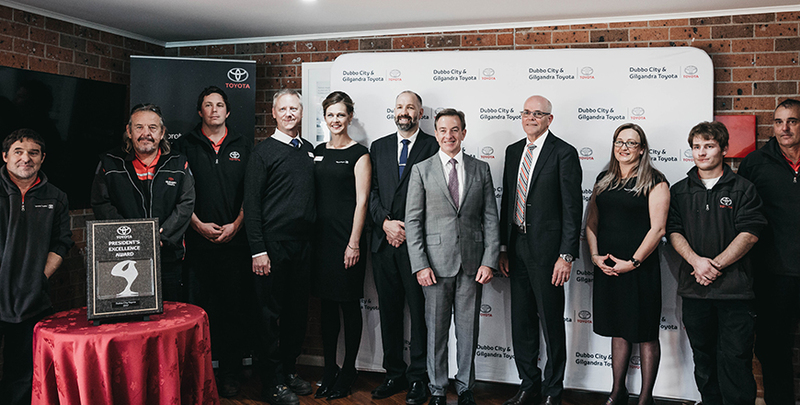 Gilgandra Toyota was a part of the Presidents award achieved by the combination of Dubbo City Toyota and Gilgandra Toyota for 2011. The combination also achieved the Regional (NSW region) and National Dealer of the Year of the award for 2011. So you can see why Gilgandra Toyota is - Totally committed to Customer Satisfaction. We are also the local Dealer for Central West NSW for Lexus - Lexus of Dubbo. At Gilgandra Toyota we are proud to play a big part in our local community.